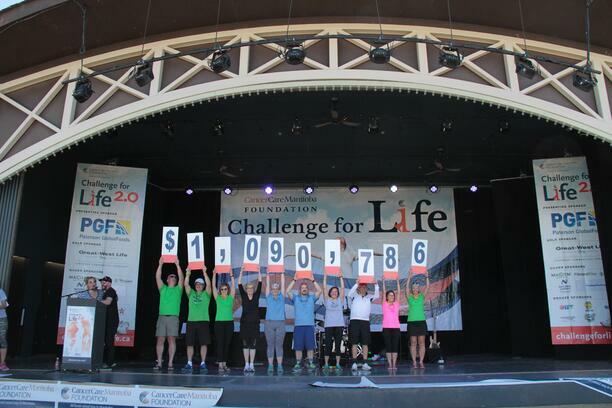 For yet another year, Bison employees came together in support of an important cause, in the 10th anniversary of the Challenge for Life, raising funds for CancerCare Manitoba Foundation (read: Case Study: The Anatomy of a Corporate Fundraising Campaign). Our combined efforts were a perfect example of our Mission in Action, displaying our Core Values of Spirit, Service, and Success. 114 Bison employees and family members registered to either Walk It for 20km or Work It for 200 minutes, and the Blazing Bison team raised more than $162,000 through corporate fundraising, personal initiatives, and our fundraising barbecue. 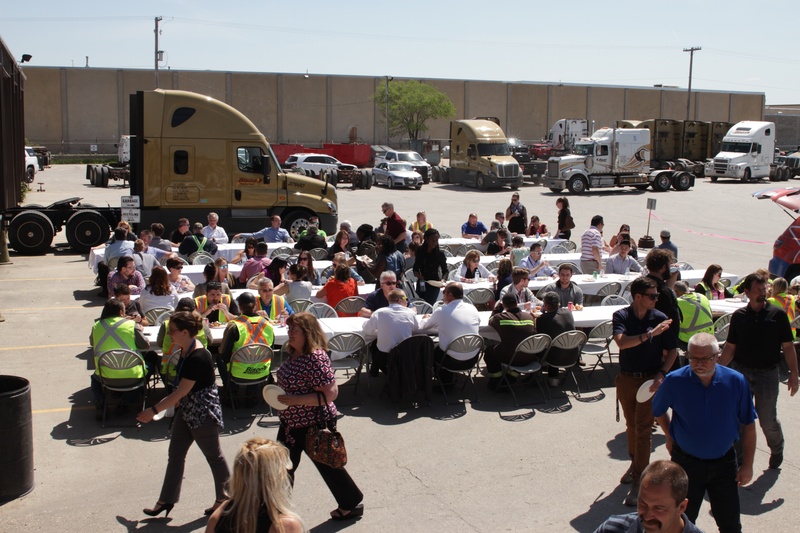 This year, thanks to the support of the many attendees, both from in our business and outside of it, our barbecue raised a record-setting $21,836.30! 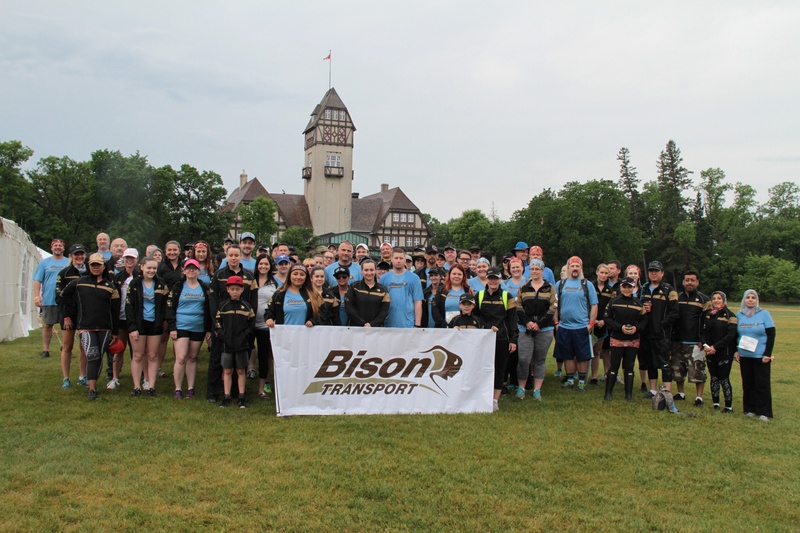 While Bison has held the top fundraising spot for Challenge For Life for several years, in the spirit of friendly competition, this year we were surpassed by Maxim Truck & Trailer who raised an impressive $200,000. We are so proud to be part of an industry who hugely stepped up in support of such an important cause, and we'd like to congratulate everyone at Maxim! Many of our Bison team members fall into the gold, silver, and bronze fundraising levels, a new initiative from CancerCare Manitoba Foundation to recognize those individuals putting in extra effort to go above and beyond the required minimum. Well over half of our team exceeded the minimum fundraising goal, and more than a quarter of our team achieved one of the three rankings! Thank you to our entire team for putting your best foot forward and raising funds for an organization so near and dear to our hearts – and thank you to all those who donated to our team members. 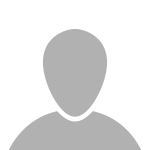 Even more exciting news for this year is we had employees and Drivers from other terminals join our team. While this may be a “Made in Manitoba” event, it takes all of us working together to succeed. What an awesome display of team spirit and a reflection of our Bison family values! Once again, I want to thank all of our participants, sponsors, and donors. There are too many of you to name, and not enough words to express my gratitude for all you have done. Our efforts to support such an important cause are a perfect example of the amazing things we can achieve when the Bison family pulls together. I’m looking forward to next year and making it an even greater success! 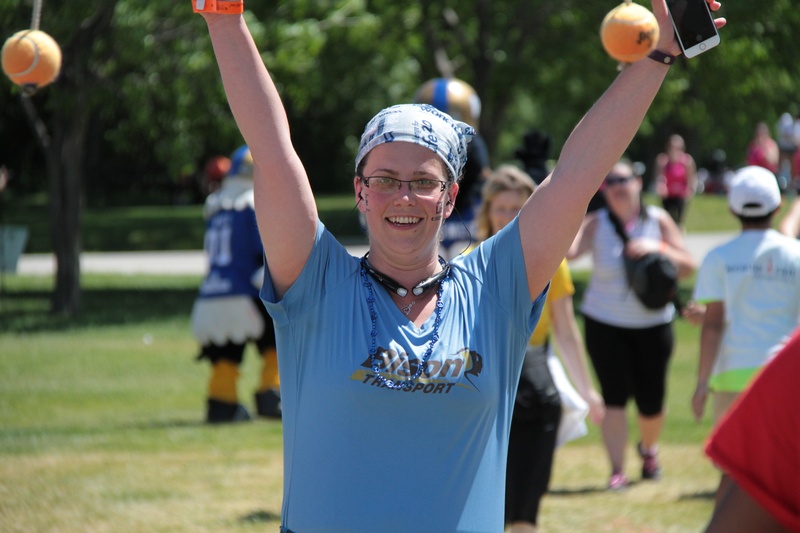 How does your workplace support events like Challenge for Life? Tell us in the comments below.